Louis Papaemmanuel, Project Director of iMENTORS, SU, presented today iMENTORS at the UNESCO HP-BGI meeting. The UNESCO-HP Brain Gain Initiative fosters cooperation across borders among students, academics and scientists from Africa and the Arab States, and helps strengthen research capacities of higher education institutions in the two regions. It was an opportunity to meet and exchange with partners (representatives from 19 projects, in 14 countries), as well as with stakeholders in the two regions. The activity served as well to highlight the projects' achievements and to reflect together on the way forward. 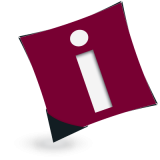 We are happy to present you the fourth edition of the quarterly iMENTORS newsletter.Discover more about the project and its related activities with our Newsletter! iMENTORS has started to map in a virtual observatory the levels of connectivity, types of networks, data infrastructures, e-tools, and projects, etc. that are currently available for researchers in Sub-Saharan Africa. iMENTORS, an FP-7 funded project launched in April 2012 by Stockholm University and Gov2u, is a web-based platform serving as a knowledge repository for sharing and aggregating data on e-infrastructure projects throughout sub-Saharan Africa. The platform is going live on 15 July.